Are you a small business owner and want to get a website developed for your business or small company? There a lot of different technologies and ways you can build a website. CMS is one of the easiest and quick way to build your website and get it up and running. If you aren’t aware of what CMS is don’t you worry! We’ll also explain to you that. Let us have a look at the Top 7 Useful Benefits to small business from CMS Web Development. What is CMS Web Development? CMS stands for Content Management System. From the name, it may seem that CMS is something that will manage content. CMS is much more than that! CMS is a tool that allows you to add, edit or manage a website without having to deal with the code of the website. It will let you focus more on your business and worry less about your website. Your website will be successful if it uses a scalable, secure and user-friendly content management systems. In CMS website development, there are many platforms available in the market. But as a business owner, you should choose the based-on type of your business. Choosing the right CMS will allow you to control your website’s design, content, graphics, and even code in the right way. Choosing the right CMS isn’t a small task. Choosing the right CMS is a one-time decision, but it is one of the most crucial decisions for the digital presence of your business. Just like your Facebook profile or LinkedIn profile represents you, the website of your business is showcasing your business identity in the digital world. The platform you choose should be secure, reliable and easy-to-use. Let us check out some CMS Platforms. WordPress is one of the most popular website site building packages. It is open source, and it doesn’t cost you anything to download and use. It also comes with a lot of add-ons for increased functionality, and you can customize as you want to suit the needs of your business. 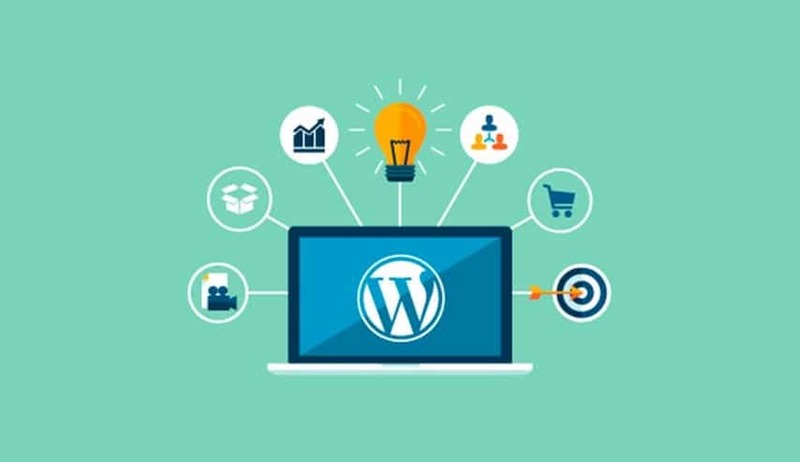 WordPress is so popular that it nearly powers 77% of the websites around the globe — users of WordPress range from small personal blogs owners to the complex sites of major corporations. WordPress is very easy to use. Comes with many unique features. These reasons make it one of the most popular content management systems. 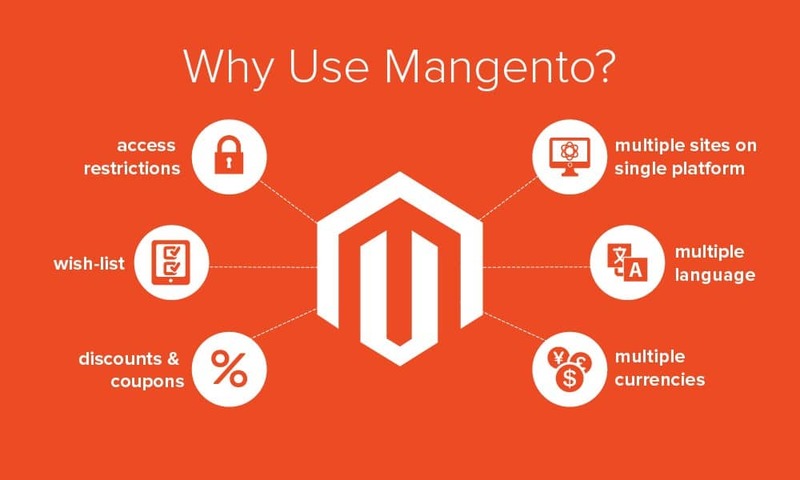 Magento is an open source eCommerce platform with a lot of options for customization and integration. It has the power to make online shopping even bigger. Magento is very popular, and multiple time it has been proven to be a fantastic platform to satisfy all need of a business owner having an online shopping website. If you build an online store the correct way, then you can ensure great success for your business. As the internet grows; the online stores are getting more sales each year. Magento offers excellent shopping cart customization and other solutions needed for any e-shop. Magento makes it easier for you to set up an eCommerce store and customize that store as per your needs. Choosing the right CMS puts you in full control of your website. A right CMS can be a powerful tool for smaller to medium-sized businesses. However, there are so many CMS available on the Internet, and it makes it difficult for you to choose the right CMS. As a small business owner, you don’t have the time and resources to try out all the CMS available! If you are planning to build a CMS based website for your business, allow us to help you choosing the right CMS for you. Once you choose the right CMS for your website, it will save time and cost by as developing a website using CMS platforms is easier and cost effective compared to other ways in which you will need to build a website from scratch via coding. In future whenever you want to make small changes in your website, it will be fast and easy as won’t need to call web development company to do simple edits on your website. Making small changes regularly with the help of a web developer can be costly and time-consuming. Using a CMS will allow you to make changes yourself or any in-house staff member, so it reduces maintenance costs. Most of the website owners find it easy to make small changes via CMS. This means that any member of your team can manage your website without having advanced technical or web development knowledge. If your website needs to be updated regularly, building a site with the help of CMS might not save a significant amount in the first go, but it will surely reduce costs in future because of the advantages mentioned above. Main expectation of mobile visitors is having a great experience when landing on a certain website. If your website can satisfy, then there are high chances that they will stay on your website and continue browsing around your website. However, if your website isn’t mobile ready, it will negatively impact user experience and may result in a visitor leaving your website. Most of the CMS Website Development Platforms are well known for keeping up with mobile web design standards. AT the same time, CMS platforms provide advanced SEO solutions. Your website’s SEO score influence the number of hits your website will have. In regards to SEO, most of the popular CMS provide your great tools like plugins to keep you up to date with the latest SEO ranking factors. These CMS plugins provide SEO friendly URL structure, meta options required for SEO. CMS Platforms and SEO plugins also offer analytics to website owners. Mobile ready websites and SEO friendly are the most prominent features. One of the best advantages of CMS over traditional websites is complete control over the design of your website. The main benefit of using CMS is that the CMS platforms make website design and customization process very easy and simple. With a website that is built traditionally, you or your web development agency will need to scrap your old website to redesign a new one from scratch. The available content will also need to be moved manually to the new website design. This is not efficient and makes the website design or redesign process complicated and time-consuming compared to using a CMS. With CMS, the content is stored in the database of your website, and website design is stored inside theme files. This makes it super easy to completely redesign your website with messing with your website’s graphical and text content. Most of the CMS usually offer a standard set of features and functions which are good enough for most of the users for having a basic platform. It is highly likely that your requirements are different or you need more functionality. A plugin can bridge this gap and provide functionalities that do not come with the standard CMS. There are thousands of free and paid plugins available for almost any job or feature you can think of. CMS website makes it easy for you to manage the maintenance of your site. If you feel that you should be in control of your site or you want your in-house team member to maintain your website, then CMS makes it easy and fast. The template-based structure of a CMS makes the creation of pages and posts easy and quick. CMS allows you to add new pages with a simple click of a button. Content, images, videos, links can be easily inserted and edited. The new page can be easily added. Publishing pages and posts are instant, and anyone can do all these without having technical or web development knowledge. With CMS, it is easier to build and maintain your blog. Content Management Systems are reliable, easy to backup and works wonderfully well for larger sites as well. All CMS allow role-based user access to the website. Depending on the role; users are either approved or restricted access to certain areas of the website. You or your website administrator can assign roles-based access to users. Role-based access allows a content writer to write on your blog without giving that author access of website’s other components. This is very useful in a multi-user environment where responsibilities need to be divided among users. Role-based user access allows developers to come up with functionality that otherwise would be impossible or hard to implement in traditional website development methodologies. Developers can also use this feature which allows for membership access to specific content on your website. Roles-based access allows users to register on your site under different roles, like subscriber, customer or as an editor. As an administrator, you have the privilege to demote or promote your users or even ban them from logging into your site. Read more – How to reduce your website operating cost-effectively using CMS? 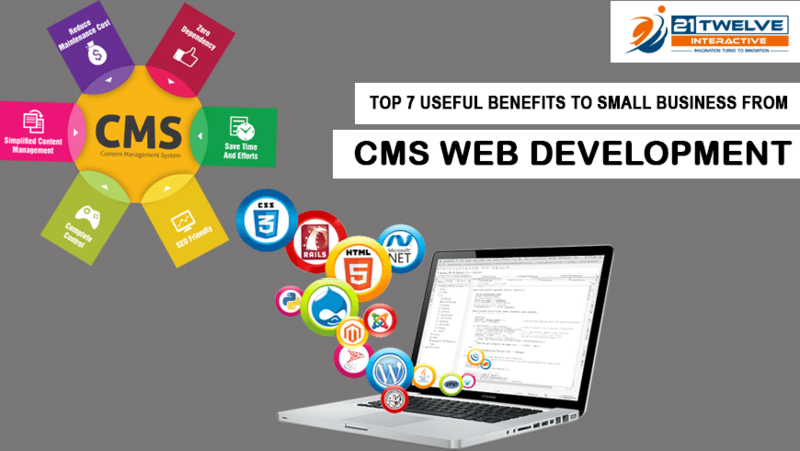 We hope that this article will help you to understand the top 7 useful benefits to small business from CMS Web Development. CMS web development reduces the cost of building a website for your websites and allows you to stay worry free and focus on your business strategy and operations. Working with an experienced CMS website development company is an effective way to ensure that there is a website that helps your business to grow. We are one of the top CMS website design & development companies in India. We offer customized CMS web development services in India and around the globe. Our area of expertise also includes custom mobile app development. Connect with us to build your next website.